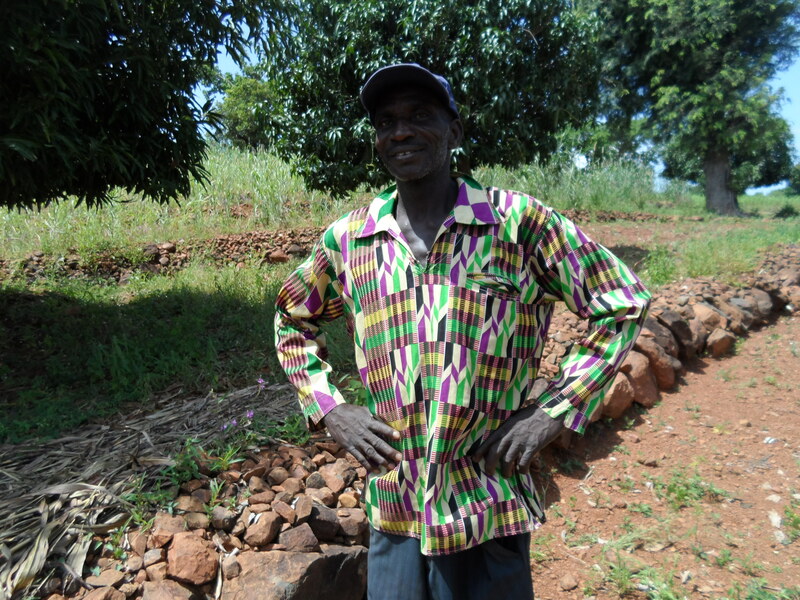 Farmers in the Upper East Region of Ghana face a lot of challenges. This prompts many to take up alternative sources of livelihoods, among which are illegal mining and low-skilled physically demanding jobs in urban areas such as head porting. Trax is proud to see that through the improvements that Trax’s trainings make, some farmers see the potential of agriculture again and return to a profitable, sustainable and organic agricultural business. Today Toam Pasepang tells his story. Toam is a community member of Duusi, in the Talensi District of the Upper East Region of Ghana. He says he thinks he is about 60 years old. “I began my farming career in my teens as an orphan but due to the declined soil fertility, short and inconsistent rainfall regime, inadequate inputs and inadequate know-how. I abandoned farming and went to Southern Ghana to pound fufu and to work on cocoa farms. I could not make it. When I got married the situation worsened. I then heard that illegal mining (popularly called Galamsay) was lucrative and I rushed home to try my luck. Unfortunately all these efforts never led to any successful business. In order to work harder, I started using illegal substances and became addicted but this was to no avail. It was at that point that Trax Ghana started working in my community and I got interested. We quickly organized a group in my section of the community. 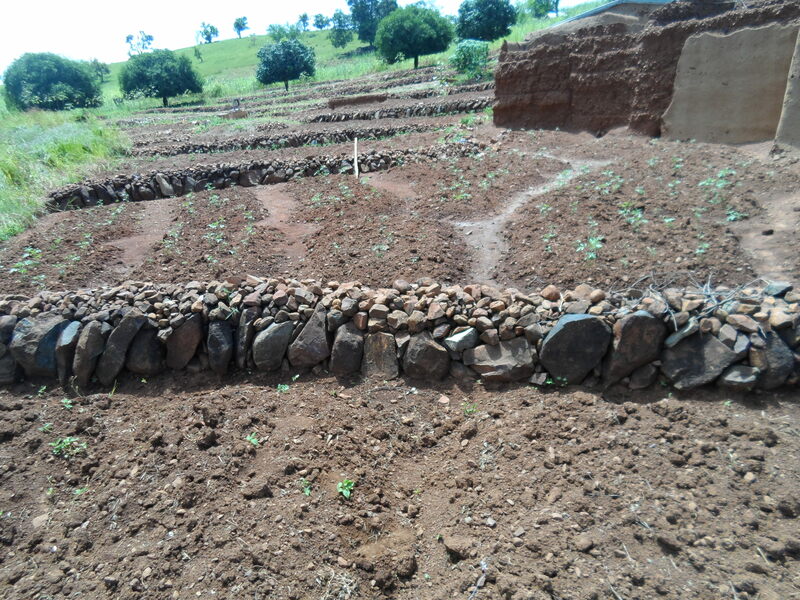 The field officer facilitated trainings such as contour identification and stone bunding, composting, dry season gardening and tree growing and we were supported with tool packs and seed of tomatoes, onions and cabbage. I applied everything I learned and listened to all the recommendations. I also stopped taking illegal substances. Today I have a story to tell. I am a testimony to Trax Ghana’s intervention and I am a facilitator to my community and beyond. I provide trainings in stone bunding and tree growing to colleague farmers. I am a community trainer (CT). I can say that I have a sustainable career and a constant flow of income. Due to the hand dug well that I have on my farm, I am able to crop all year-round. I cultivate early millet between July and September and continue with two croppings of tomatoes and amarantus afterwards. I harvest fruits from 6 big mango trees I planted years ago. Last year I harvested and sold and I sold excess grain duee to my improved soil through bunding and composting.